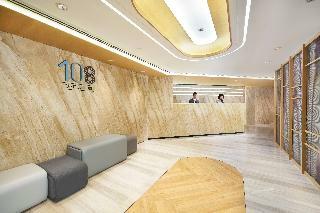 Located at 108 Soy Street in Mong Kok, Hotel 108 is a stylishly designed select-service hotel that is surrounded by a variety of hip and trendy dining and entertainment options. Just a few minutes' walk to the local street food heaven and shopping paradise such as the Ladies' Market and the Sneakers Street, the hotel provides guests with convenient access to dining and shopping venues.Hotel 108 is comprised of 61 guest rooms, ranging from Classic, Superior and Superior Family rooms to Junior Suite. All non-smoking rooms are tastefully furnished, featuring floor-to-ceiling windows for guests to enjoy the spectacular view of the bustling Mong Kok. The hotel is just a few blocks away from the heart of Mong Kok, its location keeps guests away from the hustle and bustle, giving them the perfect night's sleep. The hotel is located at the centre of Mong Kok. It is a modern and stylish property on Kowloon's world-renowned shopping street, offering 108 tastefully appointed guest rooms. 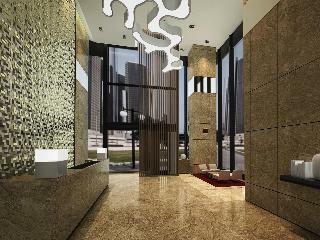 Guests are welcomed in a lobby with 24-hour reception and check-out service. Complimentary freshly ground coffee is provided at the hotel lobby every morning. 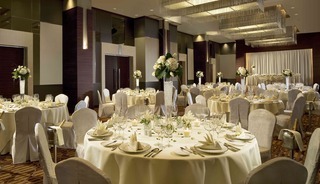 Additional facilities at this air-conditioned business hotel include lift access and WIFI Internet access. Each room is designed to optimize functionality and comfort. All rooms feature an en suite bathroom with a shower. In-room facilities include air conditioning, double bed and an LCD TV. Tea and coffee-making facilities, individually regulated air conditioning and a terrace are also included. Visitors can reach the hotel by using the Airport Express train and changing onto the MTR network. Buses running between city and the airport are another option for guests who prefer direct transportation.A refundable deposit HKD 500 per room will be collected upon check-in for incidental charges. 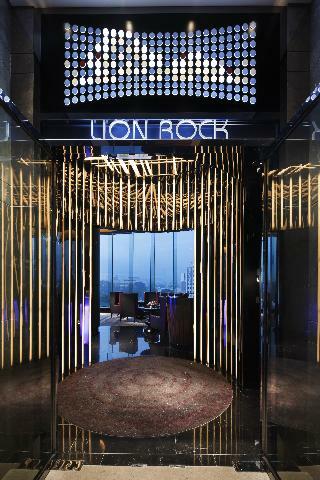 The hotel is located in one of the most vibrant areas of Hong Kong, Mongkok district. 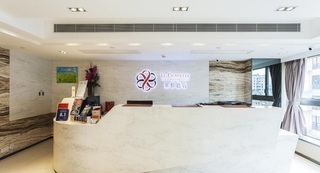 Famous shopping hot spots like Langham Place, Ladies Market, Temple Street Night Market, Fa Yuen Street (Sneaker Street) and Flower Market are all within walking distance.The Hotel is of great accessibility that the MTR Mongkok Station (Exit E1) and the MTR Mongkok East Station are just nearby, where guests can reach to the most popular public transportation networks visiting almost every tourist attraction of Hong Kong. Additionally, the Hotel is a non-smoking hotel to ensure guests' comfortability. Minimal Hotel‧Bazaar offers well-equipped guestrooms with Wi-Fi access, bathroom amenities, flat TV screen and electric kettle, making it the perfect choice for guests weather they are travelling for business or leisure.At Minimal Hotel Bazaar, we believe in the simple life. Stay Simply, Stay Comfy! Next to Nathan Road in central Kowloon, The Cityview offers 4-star accommodation just a 1-minute walk from Yau Ma Tei MTR Station. Recognised by EarthCheck as being an eco-friendly hotel, it boasts an indoor pool, a fitness centre and 3 dining options.Stylish and fitted with large windows, the air-conditioned rooms are equipped with a flat-screen TV, minibar and tea/coffee making facilities. En suite bathrooms have a shower and free toiletries.The Cityview is a short 5-minute walk from the popular Ladies' Market, Fruit Market and the Chinese Opera Theatre. 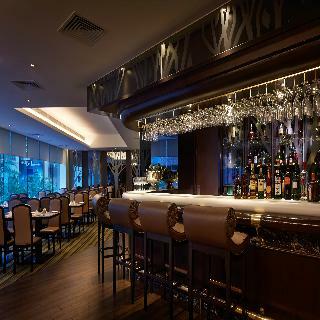 Hong Kong International Airport is a 45-minute drive away.The Balcony serves Cantonese cuisine, while City Cafe offers international buffet spreads.Guests can arrange day trips at the tour desk, or check e-mails at the business centre. The hotel also provides laundry services and a 24-hour front desk. Conveniently located at Mongkok, close to famous attractions such as Tung Choi Street (Ladies Market), Temple Street and Langham Place, this comfortable Holiday Inn Express is only a 10-minute walk from Mongkok MTR Station, offering excellent transport links across the city. The hotel's 147 guestrooms are bright and cheerful, featuring modern d?cor, and come with en-suite bathroom, individual air conditioning, cable/satellite TV and free Wi-Fi. A complimentary breakfast is served each morning in the Great Room, including both continental and Chinese options, and there are vending machines so guests can purchase drinks and snacks. Other facilities include business services and a self-serve guest laundry. Situated in the heart of Kowloon, this modern hotel provides easy access to Kowloon's major shopping and commercial areas, including Langham Place and the Grand Century Place, and is ideal for either business trips or leisure breaks. It is just ten minutes' walk from Yaumatei/Mongkok MTR stations or eight minutes' walk from Mong Kok East station. The hotel also provides direct hourly shuttle services to and from MTR, Mong Kok, Tsimshatsui and Hong Kong International Airport. The guestrooms are spacious and elegantly appointed, all featuring a contemporary décor with high-quality fine materials and innovative design. 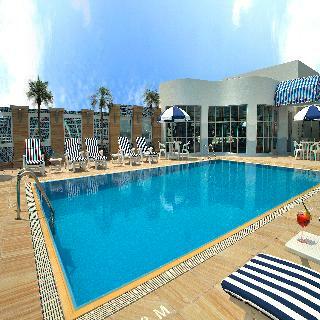 They all come with a large choice of services and amenities, such as free Wi-Fi plus complimentary mineral water. Guests can also book excursions at the tour desk and make use of car rental facilities. The hotel's rooftop swimming pool and fitness room provide guests with an excellent way of relaxing while relishing stunning city views of the city, plus there are two restaurants to choose from, serving delicious Chinese specialities and international cuisine. There is also an on-site cake shop, while the bar is the place for drinks, live sports on TV and live music. iclub Mong Kok Hotel is centrally located in a popular tourists attraction in Kowloon for guests to discover a variety of entertainment, dining, local heritages/culture and business destinations where perfectly complement your lifestyle. 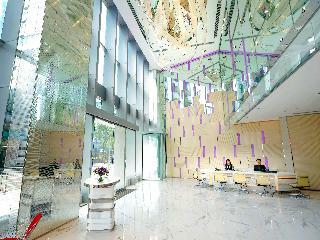 It takes only within a 10-minute walk to various shopping centers as well as nearby MTR stations. As a contemporary select-service hotel, the hotel offers a completely smoke-free, stylish and comfortable living environment for discerning business and leisure travelers. Le Prabelle Hotel is located in Mongkok, just next to China-Hong Kong Cross-boundary Coach Station. It is only 1-minute walk from the C2 Exit of MTR Prince Edward Station. Free WiFi access is available.The hotel is within 15-minute walk from Goladfish Market and Ladies Market. Hong Kong International Airport is a 45-minute drive away.Each room here will provide you with a TV, air conditioning and a minibar. There is also an electric kettle. Free welcome snacks and bottled water are also offered. Featuring a hairdryer, private bathroom also comes with free toiletries and slippers. You can enjoy city view from the room. Extras include a desk, a safety deposit box and bed linen.At Le Prabelle Hotel you will find a 24-hour front desk. Other facilities offered at the property include ticketing service, luggage storage and dry cleaning. Situated in the heart of Kowloon, Royal Plaza Hotel sits atop the MTR Mongkok East Station with direct access to a shopping complex. Complimentary shuttle bus service to Tsimshatsui is available.All of 699 guestrooms feature complimentary Wi-Fi and offer a choice of one king-sized bed or two queen-sized beds to accommodate a maximum of 4 persons.In addition to the unrivalled recreational facilities including a 40-metre swimming pool and a gym, the hotel also has three restaurants and bar. Numerous tourist attractions are within a 10-minute walk from our doorstep.